Vossloh has developed the system W 30 which enables safe driving under harsh climatic conditions such as high temperature fluctuations and high air humidity. The system W 30 has proven to be succesful in deserts and steppe landscapes as well as under extreme frosty conditions, e.g. 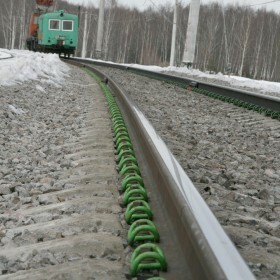 on 1,000 km track length in Russia.